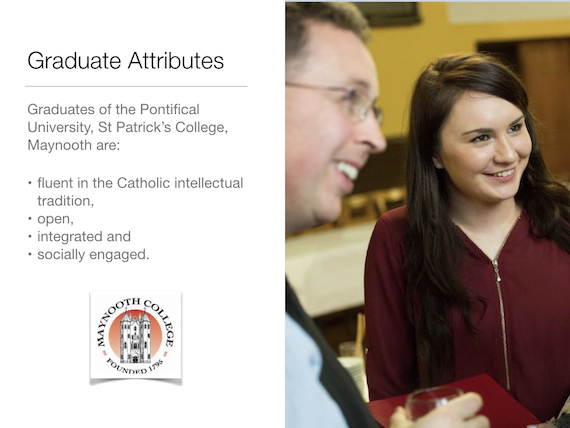 Our graduates are fluent in the Catholic intellectual tradition, open, integrated and socially engaged. The Pontifical University believes that these attributes distinguish our graduates in a way that enables them to enance their futures, church and society. All our programmes therefore strive to develop these attributes in our students, in a manner that compliments and challenges each individual student.